Wheelchair Tennis is one of the few Paralympic sports that has developed under the auspices of the generic international federation – the International Tennis Federation – for most of its history as an international sport. The rules of Wheelchair tennis are the same as able-bodied tennis, with the only exception that the ball may bounce twice in wheelchair tennis before it is hit. Players must have a medically diagnosed, permanent mobility related physical disability which causes a substantial loss of function in one or both lower extremities. Since 2004, wheelchair tennis has a quad division for athletes with a disability which affects all four limbs, as well as men’s and women’s open divisions. With singles and doubles in each division, there are six medal events at the Paralympic Games. Players from the Netherlands have dominated women’s wheelchair tennis, winning every Paralympic singles gold medal and 63 of the 71 grand slam and masters titles. Esther Vergeer was the number one women’s player from 1999 until she retired in February 2013. 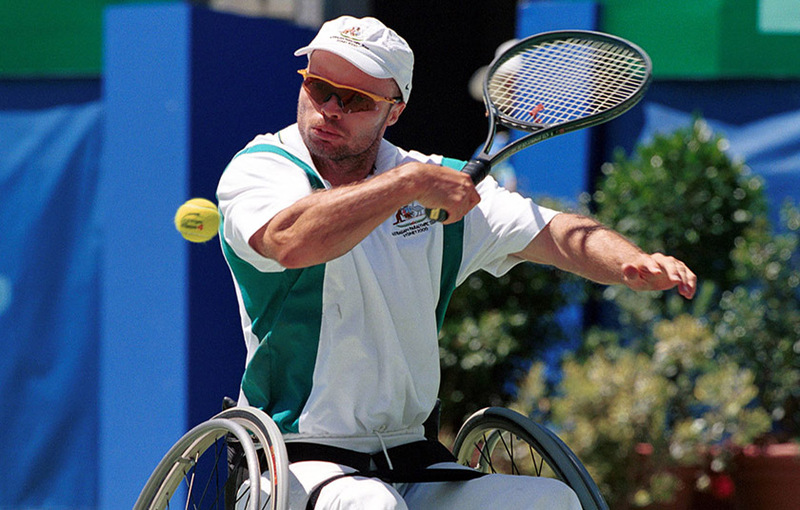 In singles and doubles, Vergeer won 42 Grand Slams, 22 year-end championships and 7 Paralympic titles. She ended her career on a winning streak in singles of 470, undefeated after Danni Di Toro beat her in January 2003. Di Toro and David Hall are Australia’s most successful players. They both held number one world rankings and won numerous grand slam titles. Hall won 8 US Opens, 8 Australian Opens and 8 Japan Opens, and represented Australia at 4 Paralympic Games. Di Toro won 12 Australian Opens, 4 French and 4 US Opens, with London being her fifth Paralympics. Australia has won 8 Paralympic medals since the sport was introduced as a full medal event in 1992, the last medals being won in 2004. Since 2015 Dylan Alcott has been ranked number one in the quad division and has the chance to create a new chapter in Australian wheelchair tennis.